The offer is valid online and in store, but if you choose click&collect you need to pick up your item today! You will receive a gift card when purchasing your items in store and an online code if you place an online order. The gift vouchers must be used by 5th March 2019. They can only be used on a single purchase and you won’t be issued a new voucher with a remaining balance if you spend less than the value of the voucher. 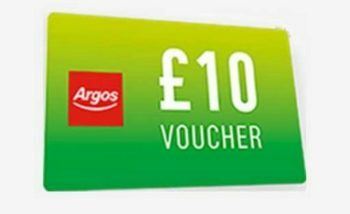 You can read more about this offer and the T&Cs when clicking on £10 voucher image on the Argos homepage here.